Bush-Whacker’s heavy duty single-spindle cutters are great for small areas of grass and small brush. It’s truly a great cut for your money. 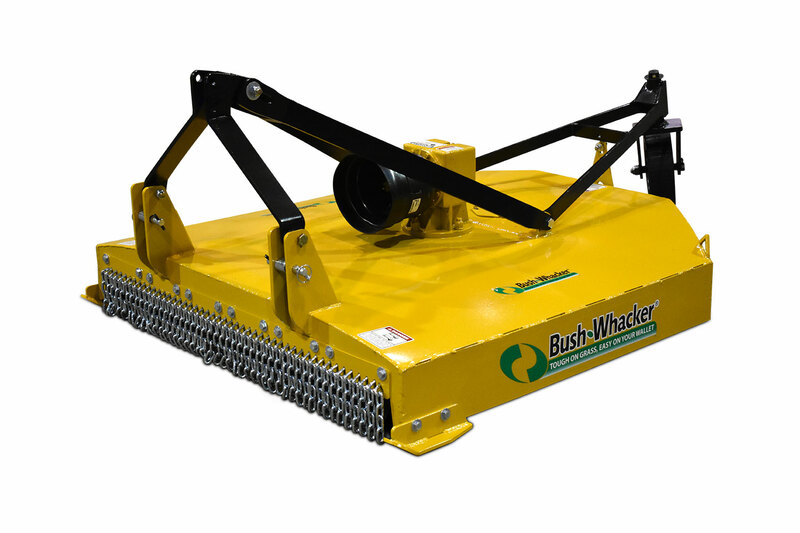 The Bush-Whacker units come standard with stump-jumpers and deck-rings, and when combined with 120HP gear boxes, you will be hard pressed to find a better value on the market today. Gearboxes – 120 HP, 540 RPM Base Mounted. Malleable housing, forgedalloy steel; carburized and hardened gears and shafts; 1 3/8” – 6 spline input shaft, tapered bearings. 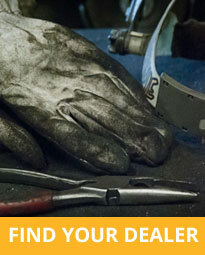 DRIVE SHAFTS – CATEGORY 4 – Made from the finest quality propeller shaft materials and needle bearing universal joints. SLIP CLUTCH – Heavy duty spring-type adjustment with four friction discs. WHEELS – Heavy duty 3–point hitch: with tapered bearings and a 4” by 8” laminated puncture-proof tire. DECK – 10 Gauge Smooth top deck for easy cleaning. SIDE SKIRTS – 1/4” MATERIAL – Shaped to fit the sides of cutter. RUBBER GUARDS – Single Row Chain Guards optional.